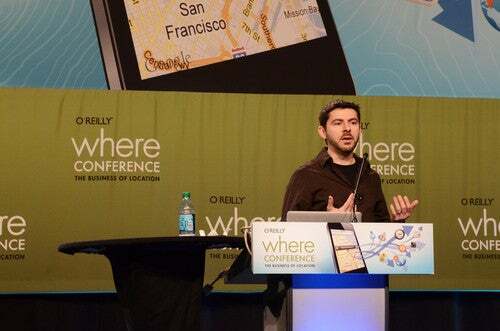 Amid the excited rhetoric about the profit potential in location data, the Where 2012 conference this week also exhibited another sign of a truly hot technology: passion projects with no commercial value at all. 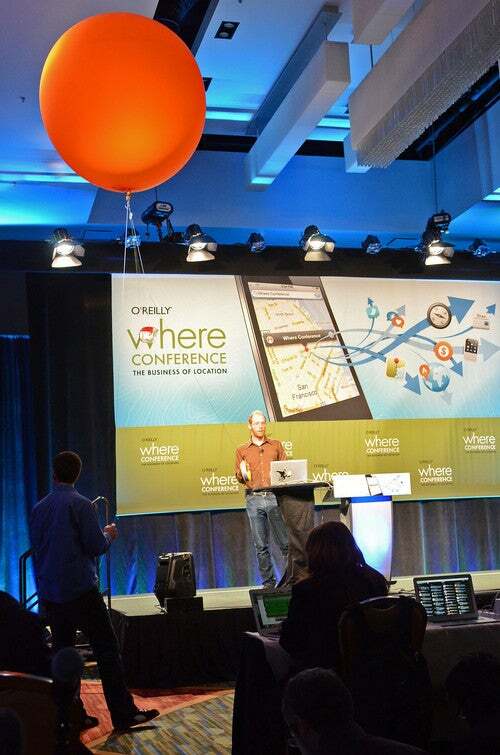 Sure, it's possible that cheap cameras on balloons, experiential maps of San Francisco's Haight Street, or screenshots of Google Maps as art photography will someday translate into marketable products, but the enthusiasts who presented this work at O'Reilly Media's annual conference on Tuesday genuinely didn't seem to care. The technology itself was compelling enough to motivate them. Commercially iffy side projects are a venerable tradition in Silicon Valley, where many well-funded business plans also turn out to be spectacularly unprofitable. Encouraging creative hobbies is even a way of doing business at companies such as Google, which lets its employees spend 20 percent of their work time on projects outside their job descriptions. But in more established sectors of technology, they usually don't get equal play with for-profit businesses or inspire great interest. In the relatively fresh field of location, for now, it feels as if just about any idea could be the next big thing. Jesper Andersen drew a sizable crowd to a Tuesday afternoon breakout session entitled, "Building a Data Narrative: Discovering Haight Street." 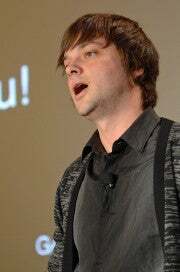 Andersen is a statistician and the general manager of Bloom Studio, which is developing new ways for consumers to view and explore the information on their devices and in their social networks. Andersen said he set out about two months ago to answer the question, "What is Haight Street like?" Though the 1.8-mile street is well-known, it's known for different and sometimes contradictory things, he said. Friends had told him about shopping or drinking experiences, as well as homeless people. "I was just completely confused how this one street, that's not that long, would be so different to so many people," Andersen said. Conventional sources weren't much help. Wikipedia contains almost no information about Haight Street, aside from a long entry on the Haight-Ashbury district that lies at its western end and was a center of the hippie movement of the late 1960s, Andersen said. Though people may think of streets as experiences, data about streets isn't organized that way, he said. So Andersen tapped into and manipulated numerous public information sources, including the U.S. Census, San Francisco crime statistics, images from Google Maps Street view and the photo-sharing service Instagram, Twitter posts, and the U.S. Geological Survey. The latter proved crucial, because the street is perfectly straight on a two-dimensional map but drops significantly in altitude from west to east, Andersen said. Altitude is what delineates the two neighborhoods on Haight Street, with differences between the so-called Upper Haight and Lower Haight appearing in most of the data sets, Andersen said. For example, the subjects of tweets in the higher-altitude Upper Haight trended toward shopping, while those from the lower section of the street were more often about dining or drinking. An analysis of the languages used in the tweets, factoring out the dominance of English, showed many in Swedish on the upper end and a pocket of entries in Thai on the lower end. Those are probably evidence of tourists in the famous Haight-Ashbury district and of an ethnic micro-neighborhood on the opposite end of the street. Likewise, statistics from the city's DataSF site showed a higher probability of crime in the Lower Haight at all times of the day and week, and a sentiment analysis of tweets indicated people were happier, on average, in the Upper Haight, he said. But one factor broke down north-to-south: An analysis of the colors in photos showed more green on the south side of the street, where it goes by a park. Jesper said lessons he learned from the project might prove valuable in Bloom's work, but that the project had no business model for profit. The same is true of a project by The Public Laboratory for Open Technology and Science, which is helping private citizens launch cameras on helium balloons and capture aerial photos. The idea is to put the power of aerial photography in the hands of ordinary people, according to Matthew Lippincott, director of Production and Production in Education at the Public Laboratory. Cameras in the air can have value for education, the environment and public information, he said. For example, after the massive Deepwater Horizon oil spill in the Gulf of Mexico in 2010, citizens sent up cameras on balloons to take photos of the polluted gulf while airplanes were not allowed to fly over the area, Lippincott said. The low-cost technology has also been used to monitor events in the Occupy Oakland demonstrations, including a rally at which a camera captured both video and audio of an amplified speech from a stage. Law enforcement agencies and the broadcast media already watch demonstrations from above. Floating cameras give citizens a way to do the same. "You can tell your own story," said Stewart Long, director of geography and data at the lab. 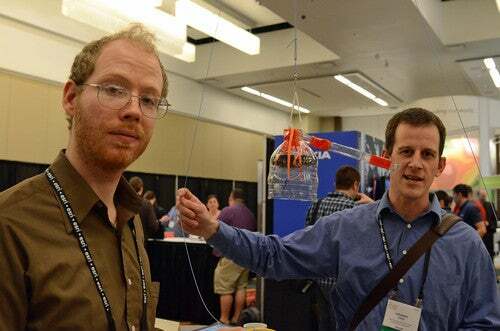 The lab, based in Cambridge, Massachusetts, does presentations at schools and other sites and sells kits with a balloon, wire and other parts along with instructions for how to build a complete craft. Any standard point-and-shoot digital camera can be used, and a protective case for the camera can be made from a plastic juice bottle, Lippincott said. After releasing the helium balloon into the air, the user typically lets it rise to between 100 and 200 meters. The camera is preset to shoot a photo every second or so in continuous mode and may take thousands of photos. When the mission is finished, the user can choose the best 20 or 30 of those and stitch them together into a representation of the scene, using software provided by the lab. Though some activists have started to explore launching their own drone aircraft for similar purposes, balloons require less money and skill to use and are unregulated by the Federal Aviation Administration unless found to cause a hazard, Lippincott said. They are also safer for people on the ground in case of a problem. "Planes fail down. Balloons fail up," he said. The lab sells the kits for US$85 plus shipping and handling, but it's not out to make money. The project was founded by the Center for Civic Media at MIT and is currently funded by the Knight Foundation, Lippincott said. Another presentation at Where introduced a website created just to capture the beauty of satellite and aerial imagery. Called Stratocam, it was launched just two weeks ago by Paul Rademacher, who has worked at the DreamWorks movie studio and on Google's geographic team. Stratocam is a gallery of images from the satellite view of Google Maps. Visitors can look at the images already there and navigate, within the site, around the rest of the visual world map. They can then snap any image they think is intrinsically worth looking at. Any visitor can give each image a thumbs-up or thumbs-down vote, and a running total of votes appears at the bottom of the screen. The photo is also labeled with a title and the name of the user who posted it. "I find that satellite imagery is actually kind of underappreciated," Rademacher said as he projected a series of images from Stratocam on the screen at Where. For example, most people will use Google Maps to find the best route to the airport but not consider that overhead images of the airport may be quite striking, he said. Some will look at the aerial view of their own home but not one in Dubai, such as a home on a man-made peninsula. Stratocam's photos run the gamut from dramatic snow-capped mountains to housing tracts and shipyards. "Again, I love the composition of this. This just looks beautiful," Rademacher said as he showed a highly geometric image of a farm in Illinois. Rademacher launched the site with about 200 images he chose, and since then, users have posted about 20,000 pictures, he said. The site does tie into the social-networking universe, through buttons that let visitors tell their friends about it on Facebook, Twitter, Pinterest and Google+. But Rademacher, who is now a co-founder of social-software development company Tasty Labs, never mentioned a possible business model for Stratocam. "The point of the website is to let a lot of people discover a lot of things," Rademacher said.